Nestled among the hundred-year old Oaks, manicured landscaping and the winding roads of Osprey Pointe sits this beautiful lakefront estate. 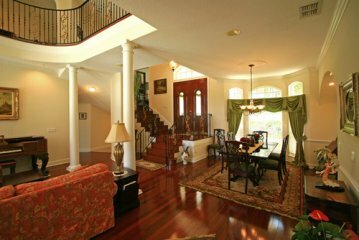 This magnificent traditional home boasts many upgrades among its 5349 square feet (heated and cooled) including, but not limited, to soaring ceilings, rich hardwood floors, stately columns, and amazing views of Lake Minnehaha. 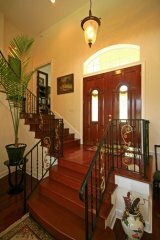 Upon entering you are met by twin wood staircases with black ornate wrought iron railings leading to either the mid level or second floor. The Library/Office is located at the mid-level – just five steps upward of the Foyer. There is additional office space on the second floor so that husband and wife each have their own work space! 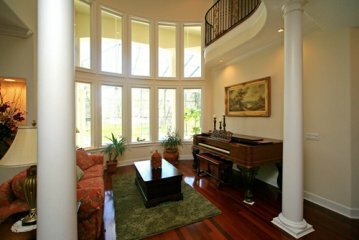 The first floor includes the Dining and Living Rooms open to each other which share rich Cherry wood flooring. 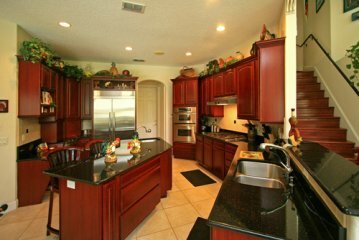 The upgraded 21’ Kitchen features black granite counter tops over luscious cherry wood cabinets, stainless appliances, and a custom tile backsplash and a walk-in pantry. A snack/serving bar in the Kitchen opens to the friendly 18’ Family Room with its dramatic soaring ceiling and a rear wall of glass, which extends from ceiling to floor and provides a panoramic view of the rear landscape and the lake. 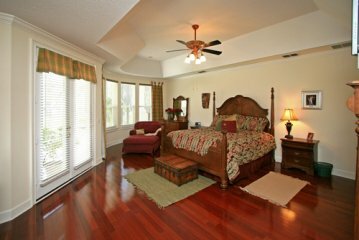 The first-floor Master Suite features French Doors leading out to the pool and terrace, with beautiful views of the lake. A luxurious bath includes a garden tub, a spacious shower with glass block, stately columns, granite accents and spacious his and hers vanity area. 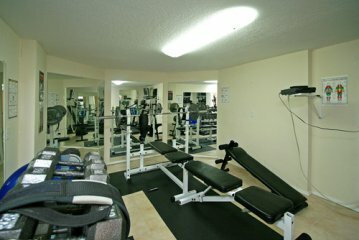 The Downstairs Exercise room is equipped with brand new mirrors and tile flooring. 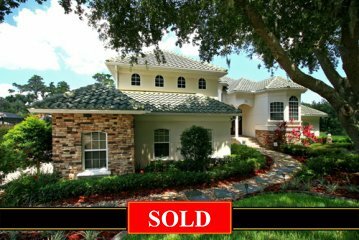 This home is truly perfect for any family! 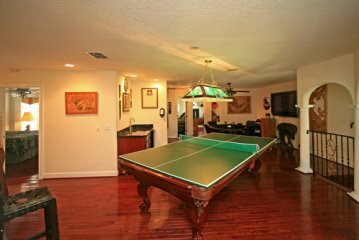 The second floor consists of four secondary bedrooms, and a fabulous 27’ Game Room with wet bar and billiard table lighting. 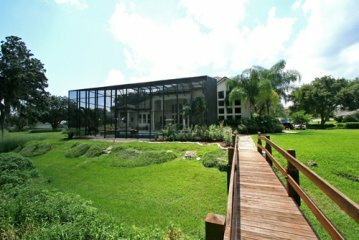 Each bath has direct bathroom access, and some include lakefront balconies! 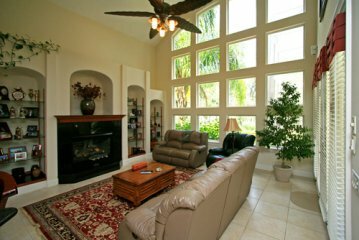 Pure relaxation is truly at your disposure in this home!! 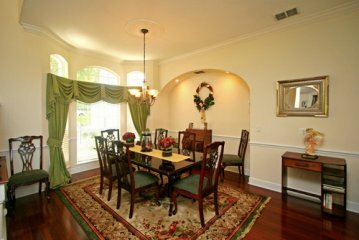 Additional amenities include Surround Sound and a Security System! 3 car garage offers an oversized bay for boat storage! When your backyard includes a large lakefront terrace, an infinity edge pool with fiber optic lighting (with a color wheel!! 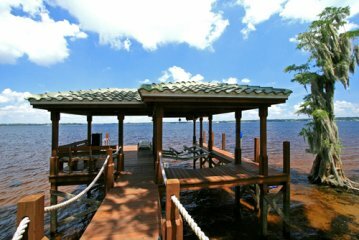 ), a heated spa, and a newly constructed boat house with an electric boat hoist - what more could you ask for? So invite your friends and family and allow them to join you in your own personal paradise!